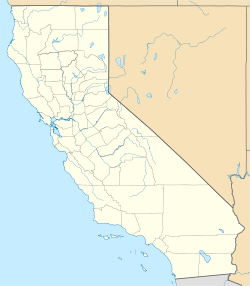 Gorda is an unincorporated community in Monterey County, California. It is located 3 miles (4.8 km) south of Cape San Martin, at an elevation of 148 feet (45 m). It is one of the three small settlements of filling stations, restaurants, and motels located along State Route 1 on the Big Sur coast. The ZIP Code is 93920, but mail must be addressed to Big Sur, and the community is inside area code 805. The fresh springs in Gorda were used by Native American tribes. The first settlement by Westerners was in 1878, when a stagecoach stop was built in Gorda. The settlement expanded with the Gold Rush of the 1880s. The town is now the location of the Gorda Springs Ocean Side Resort. Gorda is derived from the Spanish word for "fat" or "well-fed". A post office operated at Gorda from 1893 to 1923, moving in 1910. In May, 2017, a massive landslide took place just south of Gorda, severing Highway 1; the world-famous coastal route for through traffic between northern and southern California was closed. This had a considerable negative economic impact for tourism between Monterey and Morro Bay. A CALTRANS study indicated that rerouting the highway around the slide was preferred over other alternatives. Until the slide was repaired, the only route into Gorda beginning in the south was via a lengthy detour over the narrow, winding Nacimiento-Fergusson Road. Hwy SR 1 was re-opened to the south of town in July 2018. At the county level, Gorda is represented on the Monterey County Board of Supervisors by Supervisor Dave Potter. In the California State Legislature, Gorda is in the 17th Senate District, represented by Democrat Bill Monning, and in the 30th Assembly District, represented by Democrat Robert Rivas. As of April 26, 2008, Gorda had the highest gasoline prices in the United States at $6.70 per gallon. Part of this cost goes to subsidize the 100 gallon per day Diesel generator fuel bill for the town. Under the Köppen climate classification, "dry-summer subtropical" climates are often referred to as "Mediterranean". This climate zone has an average temperature above 10 °C (50 °F) in their warmest months, and an average in the coldest between 18 to −3 °C (64 to 27 °F). Summers tend to be dry with less than one-third the rainfall of the wettest winter month, and with less than 30 mm (1 in) of precipitation in a summer month. View of Pacific Ocean at Gorda, California. ^ a b c "Gorda". Geographic Names Information System. United States Geological Survey. Retrieved February 2, 2015. ^ a b Durham, David L. (1998). California's Geographic Names: A Gazetteer of Historic and Modern Names of the State. Clovis, Calif.: Word Dancer Press. p. 901. ISBN 1-884995-14-4. ^ "USPS.com® - ZIP Code™ Lookup". Archived from the original on 2010-11-23. ^ "Gorda Springs Resort, Big Sur, CA - California Beaches". Beachcalifornia.com. ^ "'Mother Of All Landslides' In Big Sur Buries Section Of California's Highway 1". Npr.org. Retrieved 12 August 2018. ^ "New road planned to traverse Big Sur slide". Sfgate.com. 2 August 2017. Retrieved 12 August 2018. ^ Forgione, Mary (July 18, 2018). "It's open! The last landslide closure on Highway 1 near Big Sur reopened to traffic earlier than expected". The Los Angeles Times. Retrieved July 20, 2018. ^ News, A. B. C. (31 March 2008). "$5.20 a Gallon? America's Priciest Gas". ABC News. Retrieved 12 August 2018. ^ "NBCNews.com Video Player". Msnbc.msn.com. ^ "Big Sur, California Köppen Climate Classification (Weatherbase)". Weatherbase.com. ^ "NOWData - NOAA Online Weather Data". National Oceanic and Atmospheric Administration. Retrieved 2013-05-02. This page was last edited on 19 September 2018, at 20:45 (UTC).